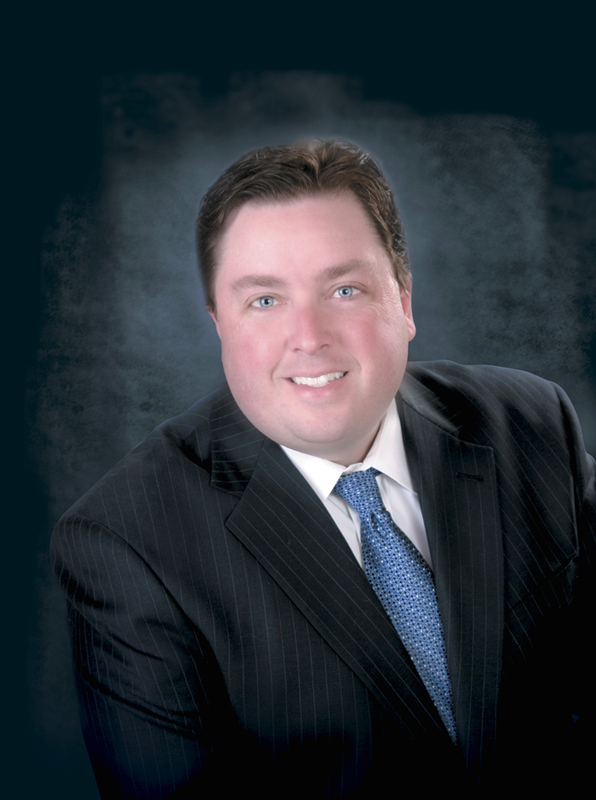 CEO Chuck Brennan founded Dollar Loan Center in 1998 as a provider of short-term loans. Dollar Loan Center is a division of DLC Empire. Chuck Brennan and Dollar Loan Center recently earned recognition from Currents magazine, one of the chief security magazines in the world. Chuck Brennan, who currently lives in Las Vegas, NV., speaks about his company’s emphasis on safety and security. Presentation Solutions: How important is this honor? Chuck Brennan: Very important. Safety and security are two major concerns with any business—and especially for Dollar Loan Center and the retail lending industry in general. Presentation Solutions: How many Dollar Loan Center locations are there in the U.S.? Chuck Brennan: There are now Dollar Loan Center locations in four states. Presentation Solutions: Where are those? Chuck Brennan: Stores can be found in Nevada, California, Utah and South Dakota. Presentation Solutions: What region sees the most business? Chuck Brennan: The Las Vegas, NV stores have seen the highest volume of traffic. Presentation Solutions: The safety precautions at Dollar Loan Center must give customers peace of mind. Chuck Brennan: As the principal provider of short-term credit in both South Dakota and Las Vegas, NV., it is crucial for Dollar Loan Center to operate under an established set of standards. Presentation Solutions: What went into making Dollar Loan Center a secure place of business? Chuck Brennan: Store monitoring is a key component to safety measures. This level of security is rare in the retail lending industry. Presentation Solutions: How are store operations monitored? Chuck Brennan: The surveillance center was created to monitor each of the Dollar Loan Center locations from a centralized unit so that the security team could view every inch of every office. We monitor over 1,500 security cameras, 24 hours a day, 7 days a week. Presentation Solutions: What’s another prominent feature of these security measures? Chuck Brennan: Each branch is equipped with cash recyclers that count, sort and validate all customer deposits within a safe machine. This machine is only accessible by members of the Dollar Loan Center security team. Presentation Solutions: What happens if a cash recycler is stolen? Chuck Brennan: These cash recyclers contain security cameras, tracking systems and alarms. It is virtually impossible for a thief to get away with the crime. Presentation Solutions: Has this security effort prevented theft? Chuck Brennan: By using state-of-the-art technology, Dollar Loan Center has virtually prevented theft in all of its locations. Presentation Solutions: As they say, safety first. Chuck Brennan: Our greatest objective is to keep both customers and employees out of harm’s way. Thankfully, Dollar Loan Center has proven successful in this challenging endeavor. Presentation Solutions: Thanks for being with us today, Chuck. In today’s one on one chat with the staff of Presentation Solutions, Dennis Dachtler, Sacramento based financial consultant, speaks of planning early and alleviating boredom after leaving your Nine to Five. Presentation Solutions: Thanks for joining us today. Retirement is a hot issue. What do you say to young folks just starting their career that haven’t gone grey enough to think about planning ahead just yet? Dennis Dachtler, Sacramento Wealth Planner: I tell them to start now. And I always means now as in right now. Presentation Solutions: So, the sooner you begin to build a nest egg, the better? Why not wait until you have extra money to save? Dennis Dachtler, Sacramento Wealth Planner: If you wait until you think you have the extra money, you never will. Start now! By putting away even a small percentage, you will help cushion your golden years. Presentation Solutions: We understand that you say there are four main stages to retirement. What are they? Dennis Dachtler, Sacramento Wealth Planner: Pre-retirement, early retirement, full retirement, and final retirement. Presentation Solutions: Can you go into detail a bit about each stage? Dennis Dachtler, Sacramento Wealth Planner: Pre-retirement is essentially the planning stages. This is when you decide what you want to do and how much you will need to do it. Dennis Dachtler, Sacramento Wealth Planner: This initial active retirement stage is when people are the most active. This is the part of retirement that should be the most enjoyable…it can also be the most expensive depending on how long you are able to get up and go. Many new retirees get bored. I recommend a part time job during this stage to not only supplement savings but to also help ward off boredom. Presentation Solutions: So, early retirement is different from full retirement? Dennis Dachtler, Sacramento Wealth Planner: In my book, yes it is. Full retirement is the relaxing stage. You are still able to take care of yourself but do so at a slower pace. This is the time to get out and meet other people of a certain age to enjoy the local scene…a social group, a book club, that sort of thing. Presentation Solutions: Which brings us to final retirement. Dennis Dachtler, Sacramento Wealth Planner: This is commonly the part when health and mobility become an issue. Most adults at this time begin to really think about either moving in with family or entering an assisted are facility. Presentation Solutions: So, how hard is it to plan for retirement? Dennis Dachtler, Sacramento Wealth Planner: It can be tough for many Americans. Stocks, bonds, insurance…it can be confusing. I definitely recommend using the services of an experienced retirement planner like Dachtler Wealth Management to help organize and manage your assets. 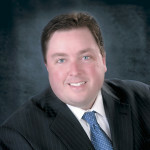 For more information about Dennis Dachtler, Sacramento area wealth planning, or to inquire about insurance products, visit dachtlerwealth.com. Securities and investment advisory services are offered solely through Ameritas Investment Corp. (AIC). Member FINRA/SIPC. AIC and Dachtler Wealth Management are not affiliated. Additional products and services may be offered through Dennis Dachtler, Heather Dachtler or Dachtler Wealth Management that are not offered through AIC. The opinions and views stated in this publication are solely those of Dennis Dachtler and Heather Dachtler and should not in any way be considered to be an endorsement by Ameritas Investment Corp.
Dennis Dachtler has seen the proposed changes to tax laws for 2013, and he’s passing this information onto his clients. Tax season is just around the corner and it’s important to learn how these changes will impact you. Dennis Dachtler emphasizes that these are only proposed changes and that they could change, especially given that it is an election year. Currently, however, here is what is on the table for 2013. Currently, the top tax rate on capital gains is 15%, Dennis Dachtler states, with those in the 10-15% income bracket not currently required to pay long-term capital gains taxes. This income cap is expected to increase to 20%, according to Dennis Dachtler—23.8% including Medicare contribution tax. Top dividend tax rates may increase to 44%. This is a substantial increase, Dennis Dachtler notes, as the current rate is only 15%. This is due to the upcoming expiration of the Bush tax cuts, according to Dennis Dachtler. Unless Congress votes to extend those tax cuts, dividends will return to being taxed as income. This will most markedly impact those in higher income brackets, who may see tax increases of as much as 39.6 percent on their dividend income, reports Dennis Dachtler. On other investment incomes, investors may see a nine percent increase, going from 35% to 44%. According to Dennis Dachtler, other investment income may include interest, dividends, trade income, or net gains on property, among others. If someone inherits a home from a deceased relative, that home is subject to an estate tax. Currently, however, Dennis Dachtler explains that if the home is valued at less than $5 million, the new owner is exempt. The new tax laws propose that this exemption drop to $1 million, states Dennis Dachtler. Another planned change in 2013 will be the Medicare contribution tax of 3.8 percent, which will be levied on specified unearned income. This will largely impact those with investment income that exceeds a certain amount, Dennis Dachtler describes. As politicians argue about whether or not to impose taxes on the wealthy, middle class, or poor, it’s important to note that taxes impact everyone. Whatever your situation, it’s important to receive sound financial advice before filing your taxes. A professional financial advisor like Dennis Dachtler can work with you and your tax professional to help you review the exemptions and tax cuts that apply specifically to you. For more information, visit Dachtler Wealth online at http://www.dachtlerwealth.com. According to Kale Flagg, it’s not uncommon for a team’s success to be attributed to a couple of extremely talented athletes instead of to a great coach. Proving that argument doesn’t hold water, Kale Flagg points to college basketball. Only a few coaches seem to win the championship year in and year out, he says, with the same handful of coaches in the Final Four each year. This example isn’t limited to basketball. Kale Flagg says sports are filled with examples of teams with extremely talented players who have little or no success. Take for instance, says Kale Flagg, the NBA’s Washington Wizards in the 1990’s, formerly the Washington Bullets. Even though three of their starting five athletes were NBA All-Stars, the team barely broke .500 and didn’t make the playoffs. Kale Flagg also points to the Dallas Cowboys as an example. After Jimmy Johnson left, the team has never been the same. Great players don’t win championships, Kale Flagg stresses. Great players in great systems win championships. Kale Flagg also points to basketball coaches of Final Four caliber—Tubby Smith, Dean Smith, Rick Patino, Jim Calhoun and Pat Summit, to name a few. They are more than just great coaches—they are phenomenal motivators, recruiters, and presenters. But most importantly, they’ve all built great systems. By studying how these coaches lead their teams to success, says Flagg, we can learn how to be great in our own businesses. Through a lot of sweat, effort and tears, nearly anyone can become a great motivator, recruiter, and presenter—if one builds a great system around it. Kale Flagg advises entrepreneurs to build their team the same way the great coaches in modern history have built their teams…from the ground up. He says that you do this by recruiting. The lifeblood of a sales team is new talent, new blood. For this reason, a team leader should always be recruiting. Kale Flagg advises businesses to start recruiting by talking to the people that they already know, to either get them involved or to get referrals from them. Eventually, you will be recruiting people you have never met before–not only people who answer an advertisement in the newspaper or on the internet; but friends of friends, who you will meet in restaurants, at coffee shops. Quality people know quality people—so referrals from successful people are the best source for team members, Kale Flagg insists. And even random people that you’ll meet on airplanes or sporting events can be valuable. As Kale Flagg explains it, meeting talented people and getting them to buy into your vision is only the starting point. To illustrate, Kale Flagg returns to the coaching analogy. When Rick Majerus, who was the basketball coach at the University of Utah in the 1990’s and early 2000’s, recruits a teenager to come to his school, it is only the first step in his system of creating a championship program. Once the new recruit arrives at school, the coach begins to develop a relationship with the new player. Kale Flagg has found that it is one thing to know what you want the new recruit to do—to know that they should practice and study and stay out of trouble—it is quite another to get the recruit to actually do those things. A coach needs to build and maintain a relationship, a trust and rapport with his new arrival. The coach’s future depends on his or her ability to develop the protégé’s talent. The coach has to coach, and getting the athlete to dig deep, to strive, to hunger, and to passionately sprint toward success is the key to good coaching. That’s exactly what an entrepreneur should be doing, explains Kale Flagg. To get a recruit to strive, the entrepreneur must give him or her a little taste of success. As Kale Flagg points out, there is nothing like getting a hit in baseball, scoring a goal in soccer, or making a basket in basketball to motivate an athlete. The same is true in the “sport” of business. There is nothing like making a sale and receiving a bonus or accomplishing market share to build passion and motivation. Once tasted, people know that success can be theirs. That confidence is everything. It is irreplaceable. But, Kale Flagg emphasizes, you have to build curiosity, create urgency, and ensure that your new prospect is ready to learn. It is the responsibility of an entrepreneur to create desire–preparing the soil before planting the seed, concludes Flagg. Kale Flagg is a Reno, Nevada-based entrepreneur who has worked on Wall Street. 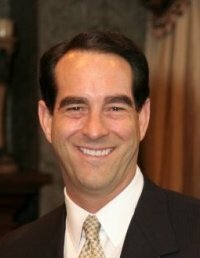 He currently serves as Chief Operating Officer for Array Asset Management, a firm that oversees utility scale solar arrays and General Partner of the American Redevelopment Fund, a $10mm redevelopment fund that sources, improves and re sells single family residences for profit in the Sacramento and Bay Areas of California. Joanna A. van der Vant is currently in the accounting department at SOL Property Management, where she handles accounts payable, accounts receivable, budget, and more. In her years of commercial real estate and accounting experience, Joanna A. van der Vant has learned the importance of controls in accounting procedures, whether a company is small or large. Controls help a company stay in control of assets, says Joanna A. van der Vant. Below, Joanna A. van der Vant explains some of the most important controls in the areas of notes payable, revenues, and cost of goods sold. Notes Payable is part of the acquisition of a new company. As Joanna A. van der Vant explains, this process is usually so closely guarded by the CFO that controls aren’t required, but there are still a few measures companies can take to safeguard the notes payable process. The terms of all new borrowing agreements should require approval, Joanna A. van der Vant advises, paying particular attention to the interest rate and collateral. Borrowings and repayments should also require supervisory approval, Joanna A. van der Vant says, with large borrowings requiring the approval of the board of directors. The most important factor in this category is the invoicing of shipments, according to Joanna A. van der Vant. Delays in this area can lead to a lag in revenue, which can lead to problems with a company’s liquidity, Joanna A. van der Vant adds. For businesses, it’s important to have a shipping log that is regularly compared to the actual billings. Also, companies should ensure that any discounts a customer recorded on an invoice were authorized. Joanna A. van der Vant also advises that policies should be put in place requiring any samples sent to be logged in the shipping log. It can be easy to lose control over this part of the process because so many employees are often involved in the process. Joanna A. van der Vant recommends reviewing the estimate for a project and determining why they exceeded the anticipated cost, if applicable. Joanna A. van der Vant stresses that all purchases should be preapproved, with purchases rejected that do not have this authorization. When items are received, they should be required to have a corresponding purchase order in order to be received. By controlling purchasing at every phase of the process, Joanna A. van der Vant has found that it’s far less likely that items can be ordered without following the proper protocols. While some of these controls may seem complex, Joanna A. van der Vant emphasizes that having systems in place to prevent fraud can better ensure everything runs smoothly.